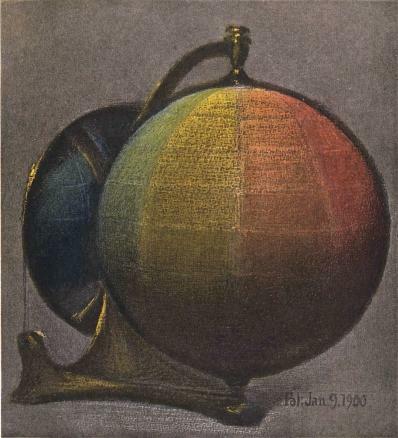 This is an excerpt from Chapter II of A Color Notation, the 1905 book that introduces the Munsell color order system using the three dimensions of color, HUE, VALUE, and CHROMA, to define and differentiate color. Part II of this book provides a course of study for teachers from first to ninth grade. The lessons are derived from a series of lectures given by Albert at the Massachusetts Normal Art School. Albert was deeply passionate about children learning early on, color harmony and subtlety of color, and his lessons plans reflect that. By using the system, students can not only learn to discern between colors, but also learn to develop what he would consider “tasteful” palettes. 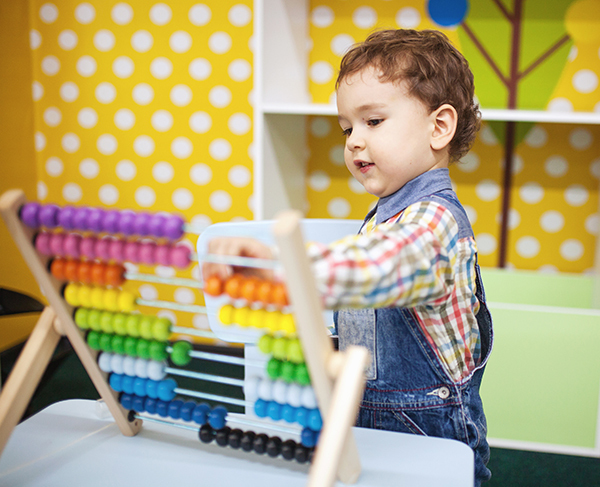 At a very young age, children are generally taught to learn about the basic HUES – Red, Yellow, Green, Blue, Purple. They are often taught in isolation of other colors, because of their simplicity, and the natural appeal of the colors. In the Munsell system, however, these primary HUES are first taught as middle HUES, because children at a very early age are able to recognize the difference between a light, medium, or dark color. 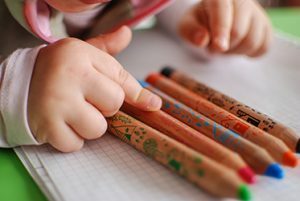 The idea is that the earlier students learn to distinguish colors in this way, the more beneficial it will be for many applications later in life. Below is the lesson plan for first graders created by Albert in A Color Notation. 2. clothing, birds, insects, etc. 3. 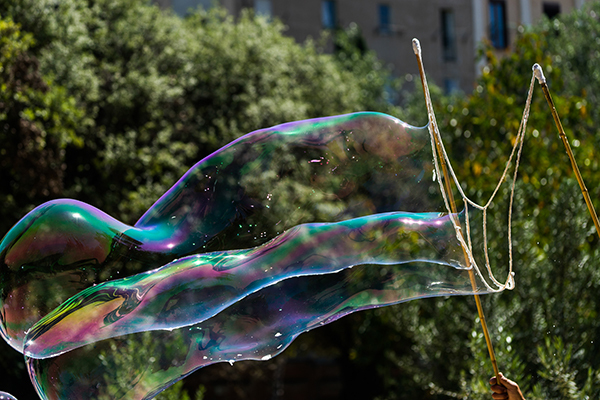 Show soap bubbles and prismatic spectrum. 4. Teach term hue. Hues of flowers, spectrum, plumage of birds, etc. 5. Show middle* red. Find other reds. 6. Show middle* yellow. Find other yellows, and compare with reds. 7. Show middle* green. Find other greens, compare with reds and yellows. 8. Show middle* blue. 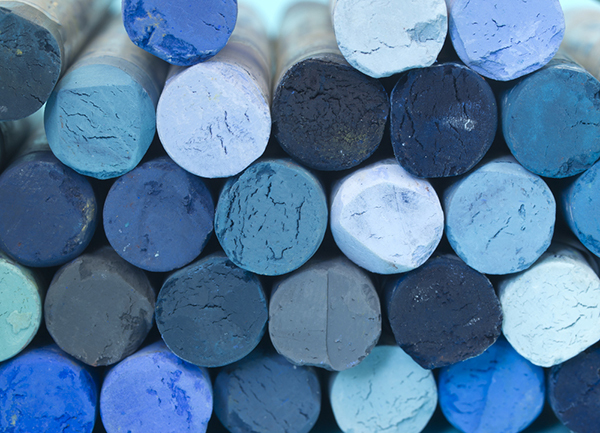 Find other blues, and compare with preceding hues. 9. Show middle* purple. Find other purples, and compare with preceding hues. 10-15. Review five middle hues* match with colored papers, and place in circle. 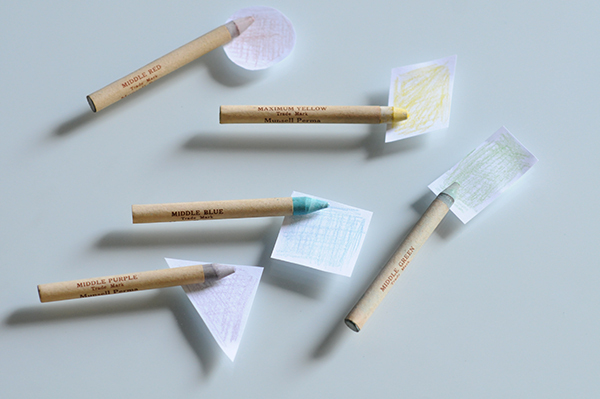 For fun, we use the original Munsell Crayons (out of production), to show how Albert would have imaged these colors being taught. You can substitute any available crayons that are on the market today. 16-20. Show color sphere. Find sequence of five middle hues. Memorise order. 21. Middle red imitated with crayon, named and written by initial R.
22. Middle yellow imitated with crayon, named and written by initial Y. 23. Middle green imitated with crayon, named and written by initial G.
24. Middle blue imitated with crayon, named and written by initial B. 25. 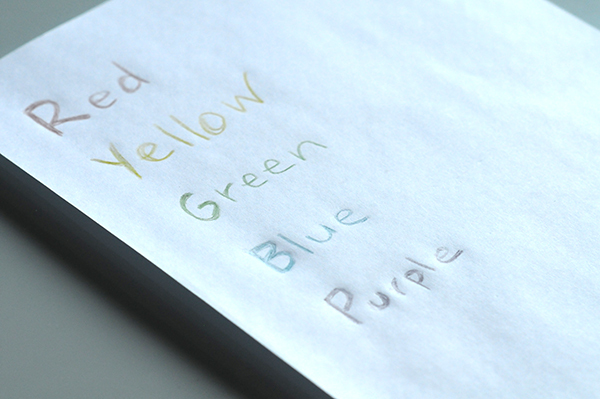 Middle purple imitated with crayon, named and written by initial P.
These were created using Munsell crayons. You can see how subtle the colors are compared to the crayons we use today. 26-30. Review, using middle hues * in borders and rosettes for design. Note: You can find coloring pages for kids on many sites such as Hello Kids, or you can create your own. Aim.—To recognize sequence of five middle hues. To name, match, imitate, write, and arrange them. *The term MIDDLE, as used in the course of color study, is understood to mean only the five principal hues which stand midway in the scales of VALUE and CHROMA. Strictly speaking, their five intermediates are also midway of the scales; but they are obtained by mixture of the five principal hues, as shown in their names, and are of secondary importance. Stay tuned for more lesson plans in this series, and subscribe to our blog, so you don’t miss any. Very interesting…would like to learn more. This appears somewhat different from the normal color wheel that most of us learned early in life. Good post.Thank you so much for sharing this. Great information to teach children. I am interested in receiving more information. I share some information with my grandkids since I have the fourth edition of the Munsell book. Unfortunately, a lot of chips are not good and hard to work with. 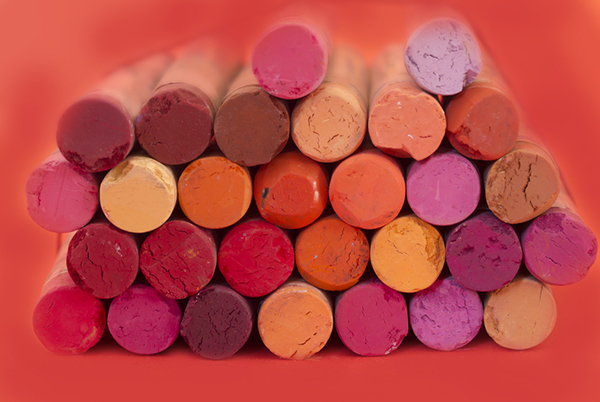 What would be a good set of crayons to work with children?